In contrast when I had shown him a Flash game called Light Bot, which taught computer programming concepts, he sat down and completed all the levels in a single sitting. I decided that if I was going to get him to learn programming, he needed a site that was more game like. Greenfoot was another another project I discovered that is along the lines of what I am thinking, but is for learning Java. 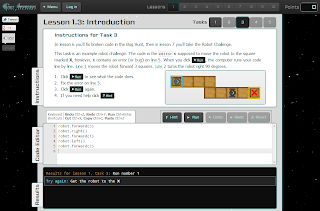 In mid-September, 2011 I began creating my own interactive programming tutorials that I initially called AI Master. My goal was to make them fun and challenging. He enjoyed the 1st tasks I created so I made a few more. Also, In September I discovered a new site called CodeCademy that had gone live in August, which was the closest thing to what I envisioned creating. I tried the lessons myself, and then on several family members. The site looks great, the difficulty level was perfect for beginners and they covered a lot of material in a short space of time. However, none of my testers really felt they had learnt anything by the time they got to the end of the lessons. Furthermore, none of my testers described the lessons as FUN. 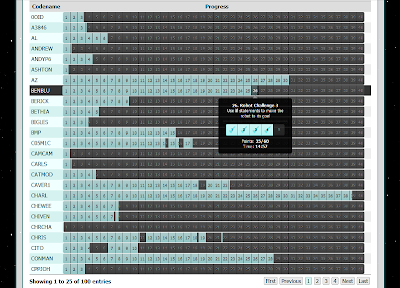 In late October CodeCademy announced over a million $$ of venture capitalist funding. Over the past 5 months both the site and its lesson content have evolved into a fantastic free resource. However, I still believe there is room for improvement in the design of the lessons. Furthermore, it has to be possible to something that is more fun and game like. On 21st November 2011, I sat down with my siblings to discuss possible names for the site I was creating. 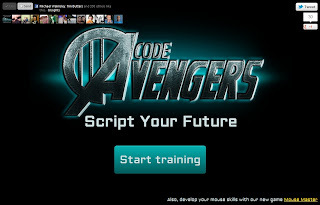 We decided Code Avengers was a good choice since the movie The Avengers was coming out in May 2012 and codeavenges.com was available. 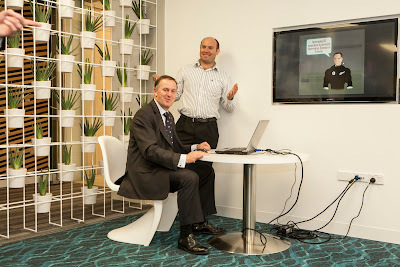 At that meeting we also decided I should begin create lesson material for absolute beginners. My sister said she would work on a logo, by brothers would help out with testing and marketing the site when we got to that stage. 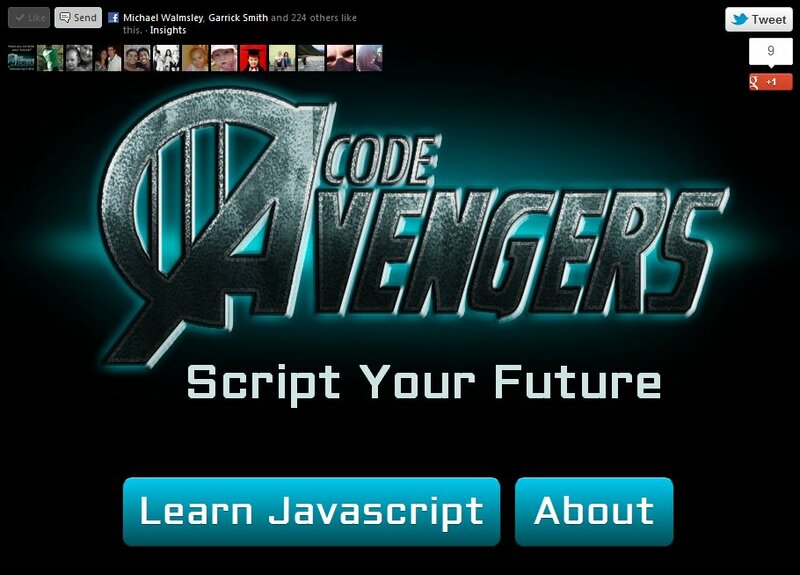 That night I registered codeavengers.com and the following week uploaded the 1st version of Code Avengers. 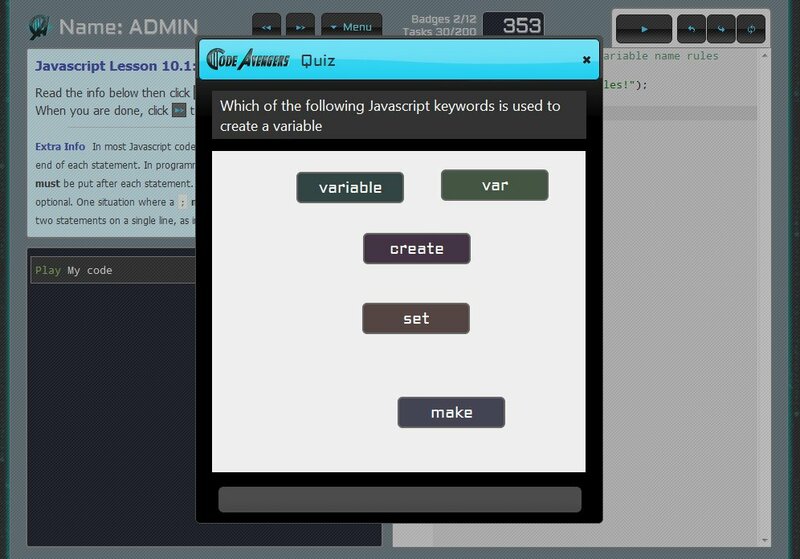 In 2011 New Zealand introduced computer programming 'NCEA Level 1 Achievement Standards' into its secondary school curriculum for year 11 students. In 2012 standards became available in year 11 and year 12, and next year will be available for all 3 senior years of high school. It is hoped that the introduction of the new curriculum will increase the number of well prepared students that come into our University computer science classes. 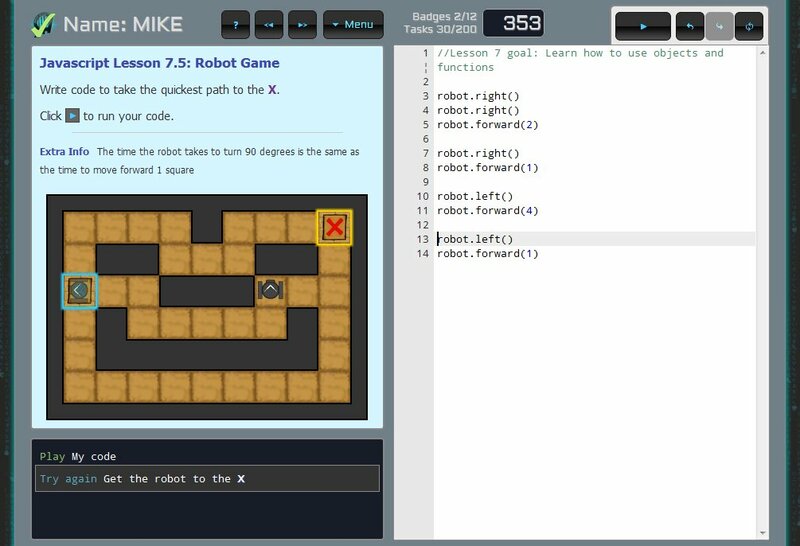 The new Computer Science curriculum is a great improvement on the old curriculum and is definitely a step up. However, one of the worries is that many of the teachers are not familiar enough with the more advanced material to teach it. Furthermore, there are a lack of resources available to teachers. Creation of resources to supplement the achievement standards is left up to the private sector, and it may take a year or two for companies to develop workbooks for the new standards. 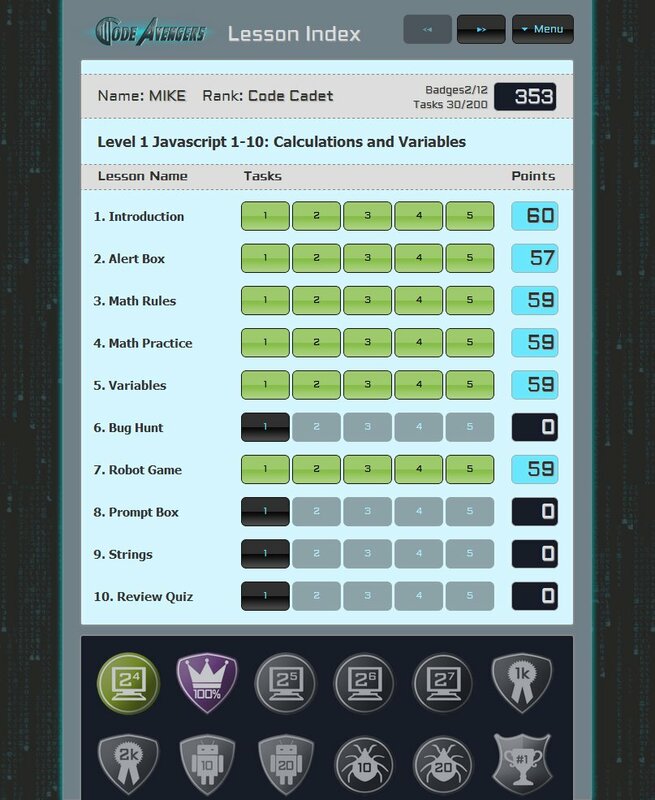 Code Avengers also has a teachers only page that gives real time feedback of student performance. This allows teachers to easily identify the students that need extra help with the material. Code Avengers simplifies the administrative work for the teacher, allowing the teacher to focus on teaching. As software developer I love to build things but have almost ZERO marketing experience. So after 6 months building Code Avengers 1.0 we were ready to launch. My equally inexperienced brother Adam (1st year marketing student at University) suggested we start by trying to get 10,000 Facebook likes in 4 weeks. It sounded like a tall order, but worth a shot. Our goal is to get 10,000 likes by the end of the month. Help make this possible!!!!!!! Thanks!!!!!!!! To begin with my immediate family shared the message on each of our FB pages as well as our extended family FB group (if we can't get our cousins to click like... we got no show of getting 10k). Within 6 hours the site had received 124 likes. OK... not bad... but I could tell 10k was not going to be easy. So how would we get the other 9,876 likes? We both failed to come up with any creative ideas that fit any of that criteria. Adam figures that all we needed was someone like Bill Gates to endorse our page and we will have the 10k in a day or so. So Adam went straight to Bill Gates Facebook page and sent a private message... Surprise, surprise no message back. So it turns out there was no quick and easy path to 10k likes. Two and a half years of hard work later, we are getting there. Now past 6,000 likes but still a long way from 10k! 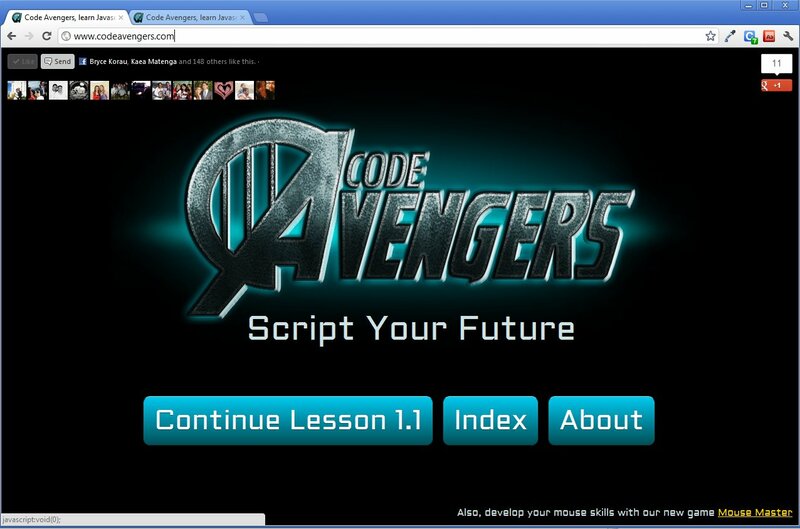 After 6 months of development in my spare time... Code Avengers finally went live on April 1st 2012. What do I mean by "LIVE"... essentially we replaced the old home page which showed a COUNTDOWN to April 1st with a new home page that links to the lesson material. With the site now live and ready for public consumption... the next task is figuring out how to get people to the site?!?! 1. Social media - We will post to Facebook and share with Facebook friends. I don't have many FB friends I think would be interested in learning Computer Programming, so not sure how much success this will have. We added FB like and google plus buttons to the pages on our site and created a Facebook page and Twitter account. And today I created this blog. 2. 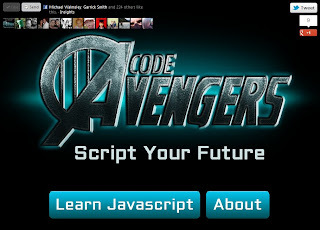 Bloggers - Email people who have blogged about CodeCademy and other sites similar and ask them to write about CodeAvengers. It seems that one of the keys to going viral is getting influential bloggers & tweeters to write about your site. When I say influential I'm talking people with 200k plus followers. Want some evidence, check out the graph in this link (http://www.forbes.com/sites/jjcolao/2012/03/22/codecademy/2/) that illustrates the influence of hot shot tweeters in the success of CodeCademy's Code Year marketing strategy. 3. 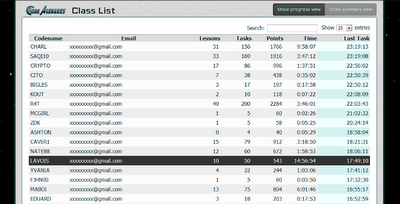 News sites - Email people who wrote news articles about CodeCademy and see if they will write one about our site. Just like influential bloggers, influential news sites can have a big effect! 4. Comments - Write comments after news articles and Blog Posts about CodeCademy. Also post a couple responses on question answer sites like Stackoverflow, Yahoo and Quora. 5. YouTube - Email people who have created YouTube videos about CodeCademy. Also get my 8 year old brother Matthew to make and post videos about our site. An added bonus of this idea is it will get him out of mum's hair for a few hours. Two drawbacks with this idea are even with YouTube videos posted... you still have to get people to watch them. Number 2, I will have to broker a deal with mum to get Matthews 1 week ban from the computer (for playing games when he wasn't supposed to) partially lifted.